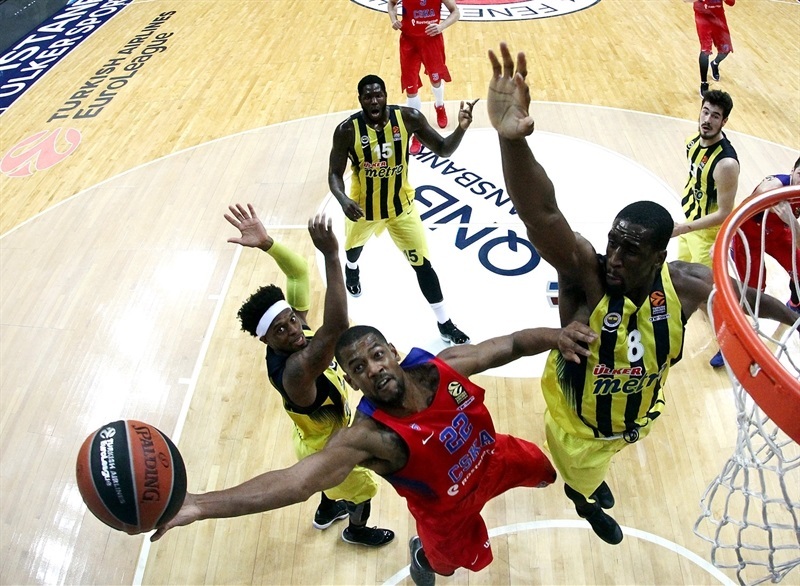 Fenerbahce Istanbul continued its great form by beating CSKA Moscow 77-71 on Thursday at Fenerbahce Ulker Arena in a rematch of last season’s Turkish Airlines EuroLeague Championship Game. 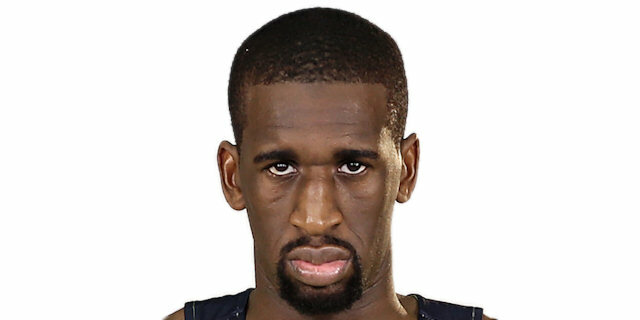 Ekpe Udoh returned from injury to post 15 points, 11 rebounds and 2 blocks in leading Fenerbahce to its fourth straight win and a 14-7 record, which is one behind Olympiacos Piraeus and CSKA, who are tied for second at 15-6. 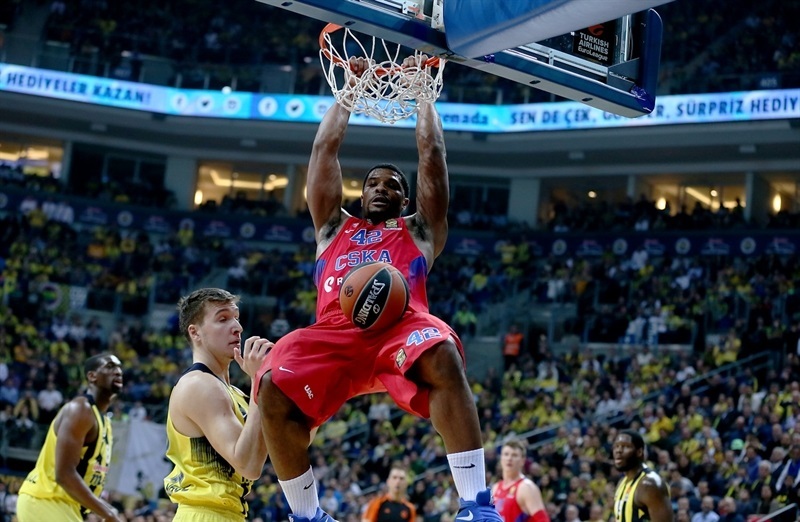 The loss was the CSKA fourth in a row on the road. 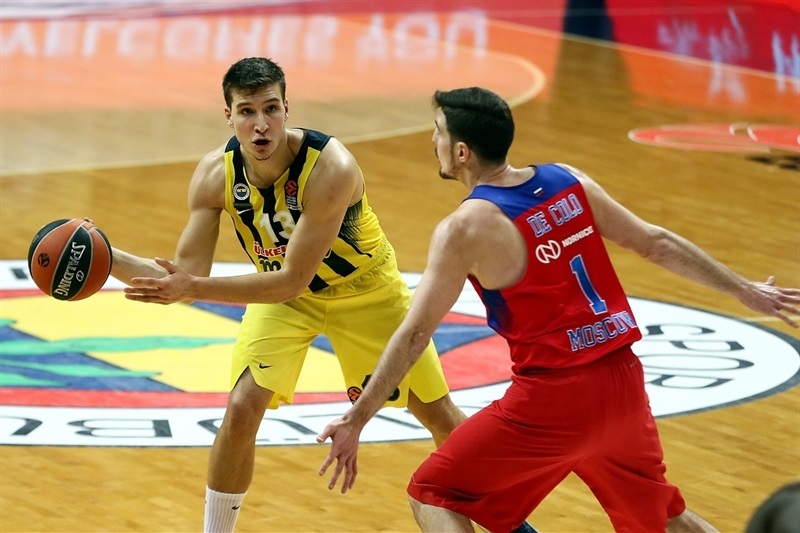 Bogdan Bogdanovic tallied 12 points and 8 assists and Luigi Datome added 10 points for the winners. Nando De Colo paced the champs with 23 points and Cory Higgins added 11. 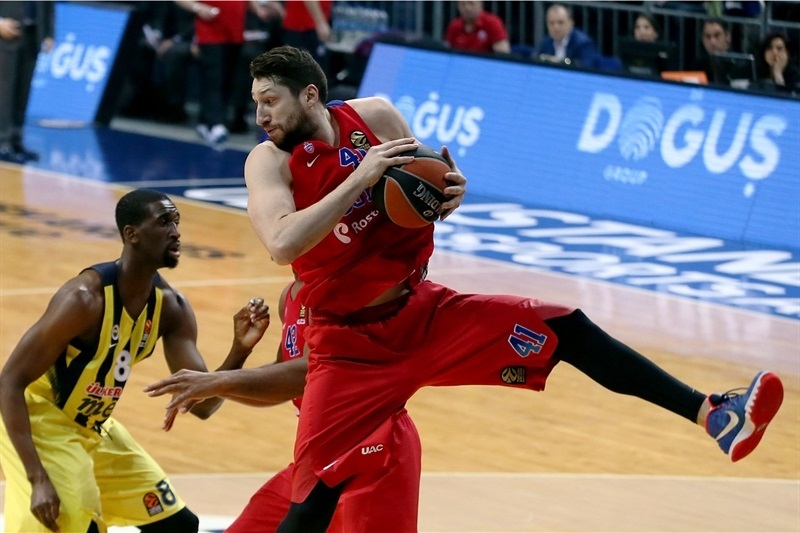 CSKA used a 0-10 run that bridged halftime to take a 36-42 lead early in the third quarter, but the Fenerbahce defense silenced the visitors for the next five minutes during which it reeled off 14 unanswered points and never trailed again. 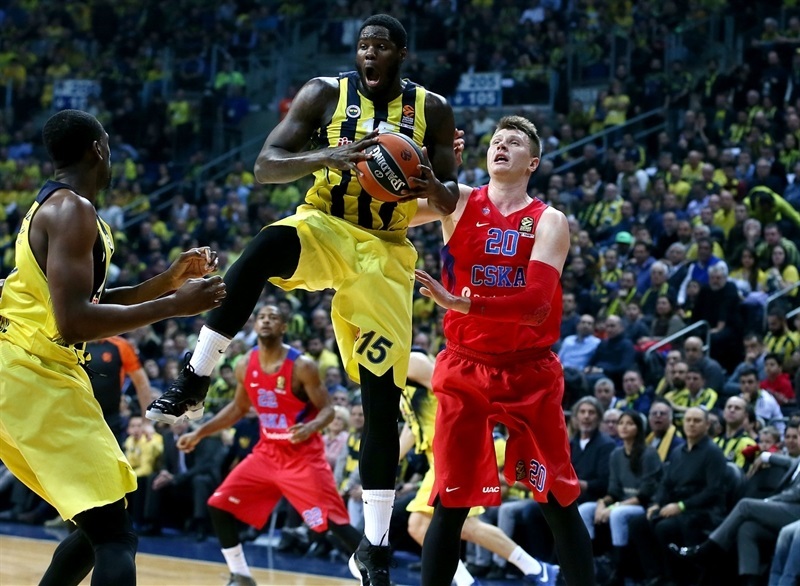 CSKA came within 4 multiple times late, however Fenerbahce always had an answer and held on for the win. The defenses made their mark early with Higgins’s three-pointer standing out as the only basket in the first three minutes. 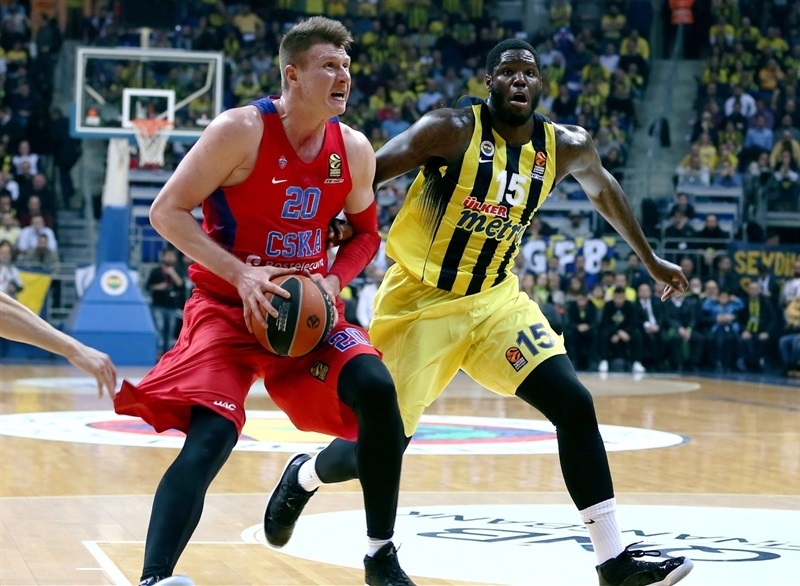 Andrey Vorontsevich and Kyle Hines each scored inside to make it 4-9 as the CSKA defense forced Fenerbahce to miss its first 7 shots. 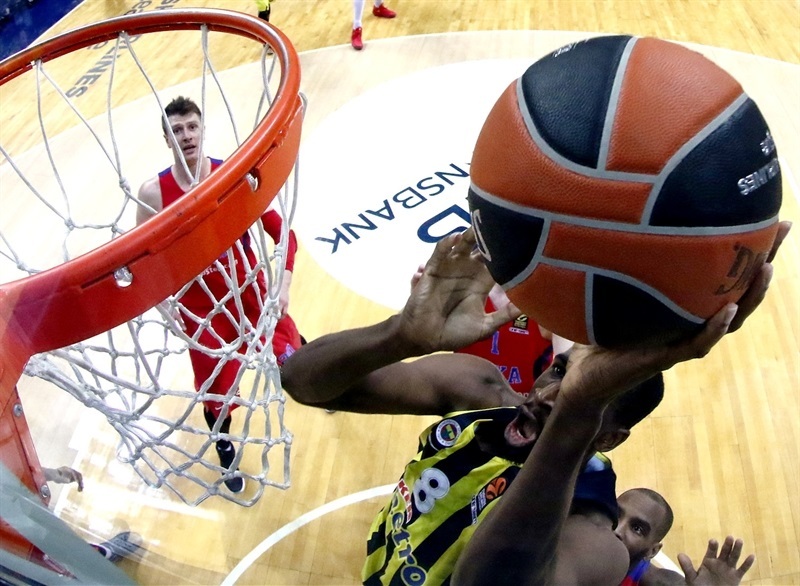 But after six minutes with only free throws, Nikola Kalinic drew Fenerbahce within 1 with the hosts’ first basket. 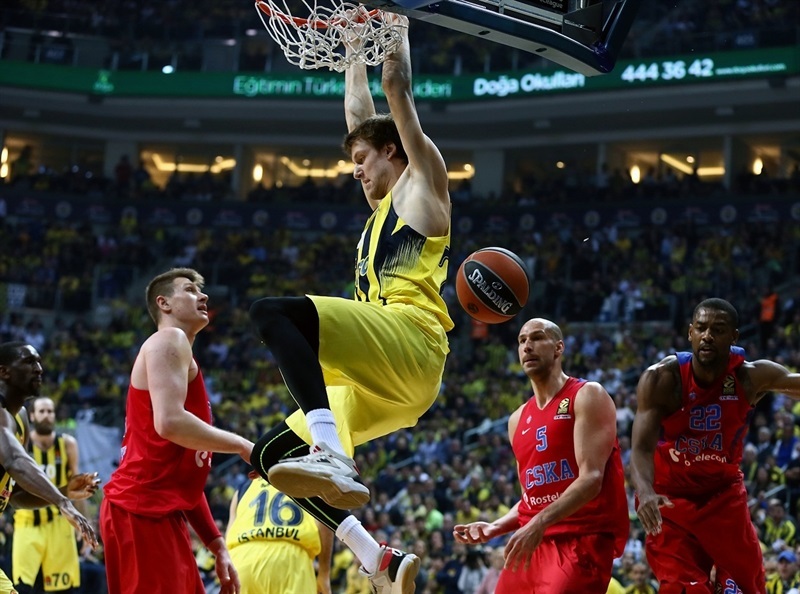 Jan Vesely scored inside to cap a 7-0 run and give Fenerbahce an 11-9 advantage. 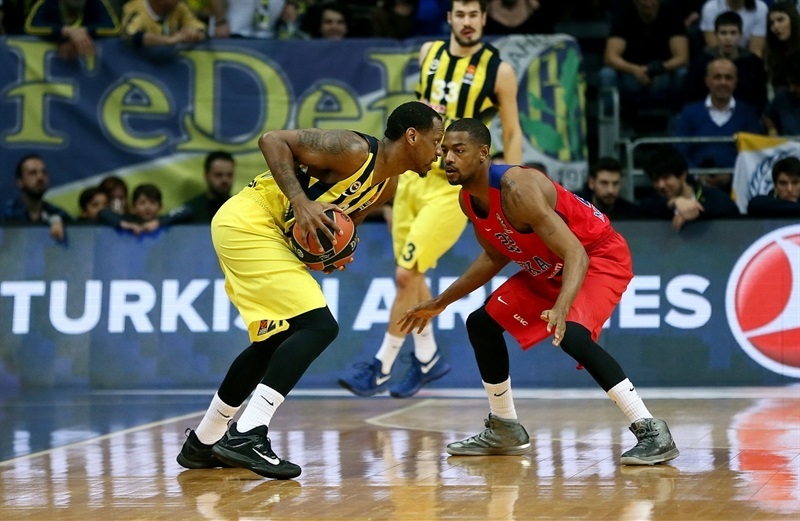 After a De Colo triple for CSKA, James Nunnally’s layup put Fenerbahce ahead 15-14 after 10 minutes. De Colo’s three-point play pushed the visitors back ahead, 17-19. 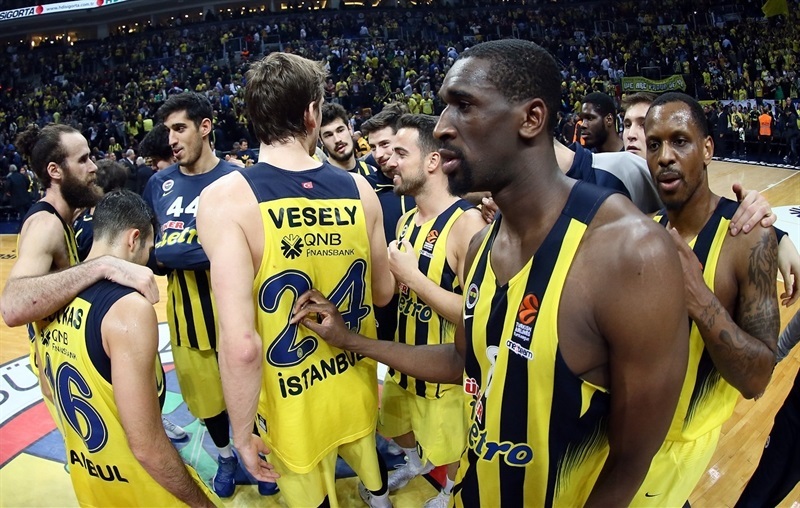 Fenerbahce stayed close and Vesely tied it at 22-22, but soon took a seat with 3 fouls. 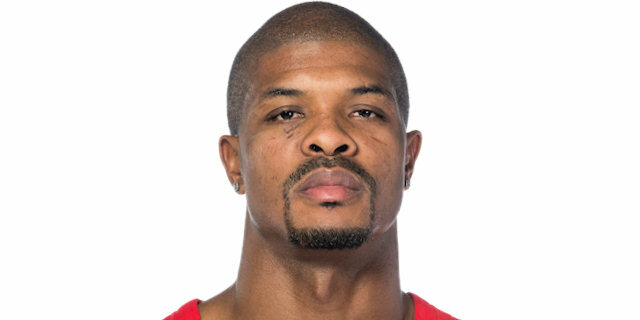 The teams continued to trade blows, with Pero Antic and Vorontsevich matching threes. 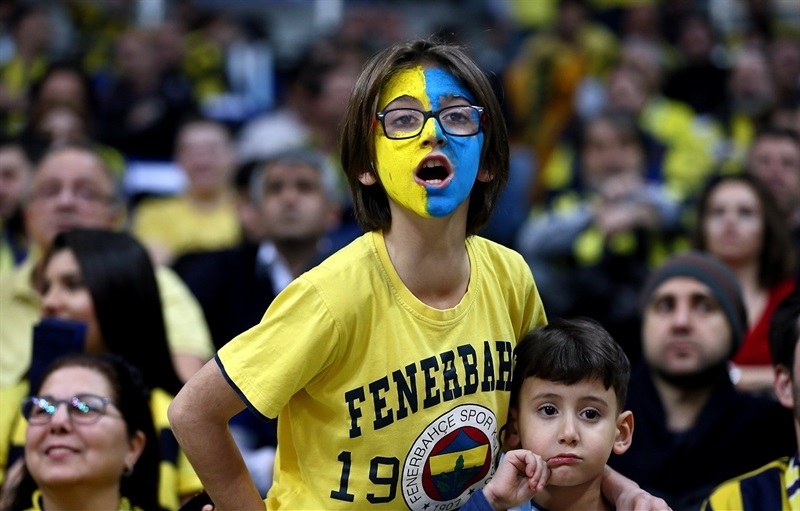 After Higgins drained a three to give Fenerbahce a slim edge, Bogdanovic free throws put Fenerbahce ahead 33-32. Then Nunnally added a three, but CSKA called timeout and quickly tied it. Higgins set up Hines for a slam and the guard beat the buzzer with a jumper to make it a 0-8 run for CSKA to lead 36-40 at the break. 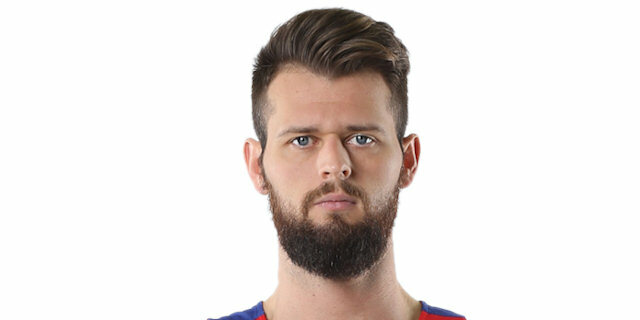 Joel Freeland buried a fadeaway jumper to open the second half, but Udoh scored three times and Bobby Dixon had 4 points in a 14-0 run for a 50-42 lead. Nikita Kurbanov’s put back ended a five-minute scoreless stretch for CSKA, but Datome hit back with a three to extend the margin to 9. And his basket-plus-foul later created the first double-digit margin of the game, 59-49. The difference reached 11 before Higgins free throws ended the third quarter at 60-51. 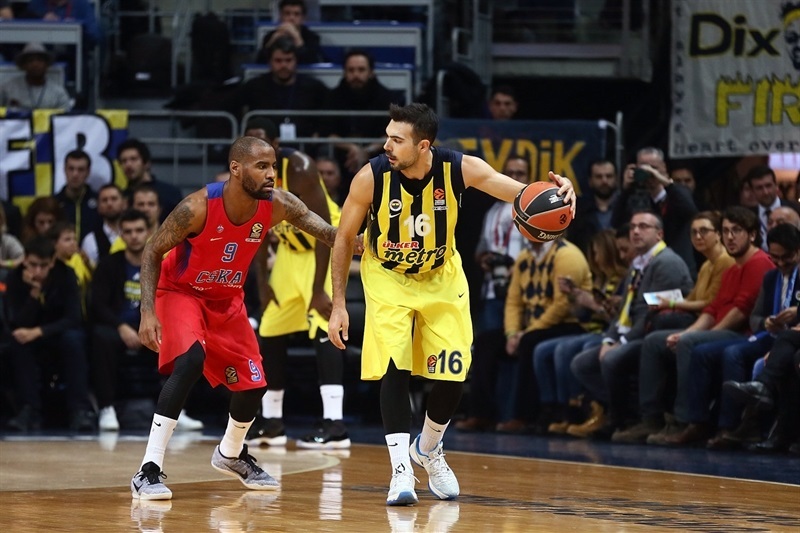 Pero Antic and De Colo traded shots before Vitaly Fridzon drew the champs within 65-59. 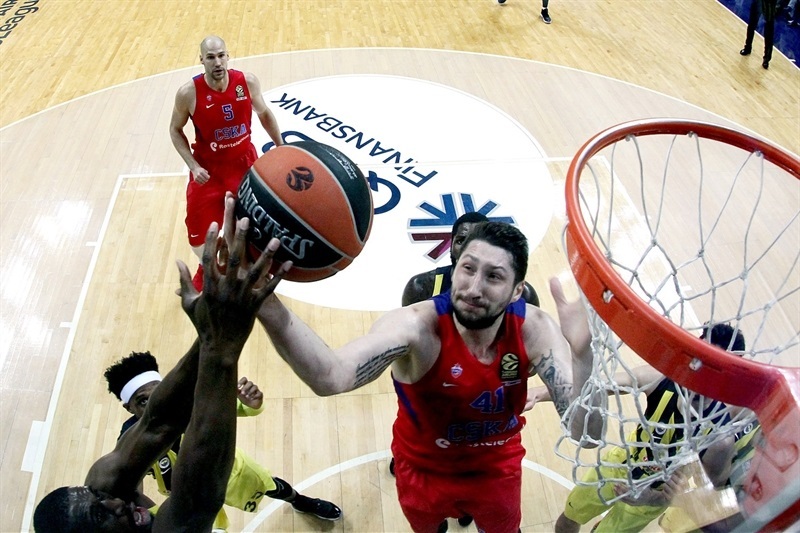 De Colo added a baby hook, which marked the first of six times CSKA got within 4, but Fenerbahce answered each time to hold on and capture the victory. "First of all thanks to our fans for an excellent atmosphere and support. Of course it was a very important game for us playing the team that is co-leading the competition. I believe that except for the last two minutes of the first half we played a very good game. The result was 36-32 for us and they scored 8-0 in this period, our team with such experienced players, it must be different. We played slow offensively and they scored easy baskets. We changed the game in the third quarter and played very good defense, better offensively, but not enough to be at the level we want to. And again, because we played slow, our decisions were slow and we moved the ball slow. So this is something we must try to change. I hope that everybody will be healthy and if we have practices like the last days, I am optimistic about our future. 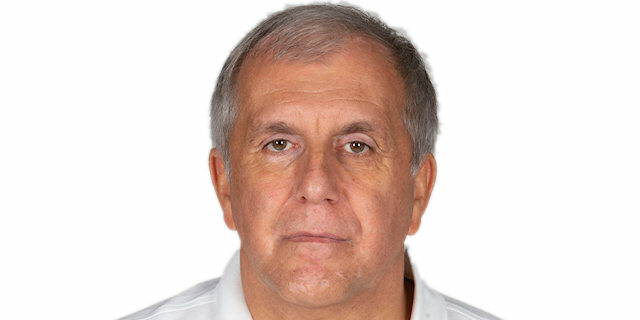 This is a CSKA team that never gives up and fights till the end with a lot of tactics. So I am very happy for the players. " "We gave our fight, but Fenerbahce was more dedicated and won the game. About our offense, we could be more productive. We tried; we were very aggressive today with drives, with post game, with offensive screens. " "[The fans] have been waiting for this win since last year. It was a great win. It was a total team effort. Glad to get this win at home. We just have to keep getting better, keep getting better at finishing. [Defense] is what we hang our hats on, that’s what we’re known for. But at the same time, we’ve had our struggles throughout the year with scoring. That’s something we have to continue to work on. " "It was a tough-fought game. I think we played competitive for three quarters, but the third quarter obviously we allowed them to win by a big margin. That was the biggest difference in the game. We just have to come back and keep fighting. We have to take the positive from it and also take the negative, take the mistakes and keep building. It’s a long season and we still have a lot more to go, a lot more fighting to do. We will see them again. " "It was a well-fought game. That third quarter killed us. We really fought; we really went out with a wish to win the game and it showed. For the first, the second and the fourth quarter, we were playing great basketball. Just that third quarter killed us. We have to learn from that third quarter. "